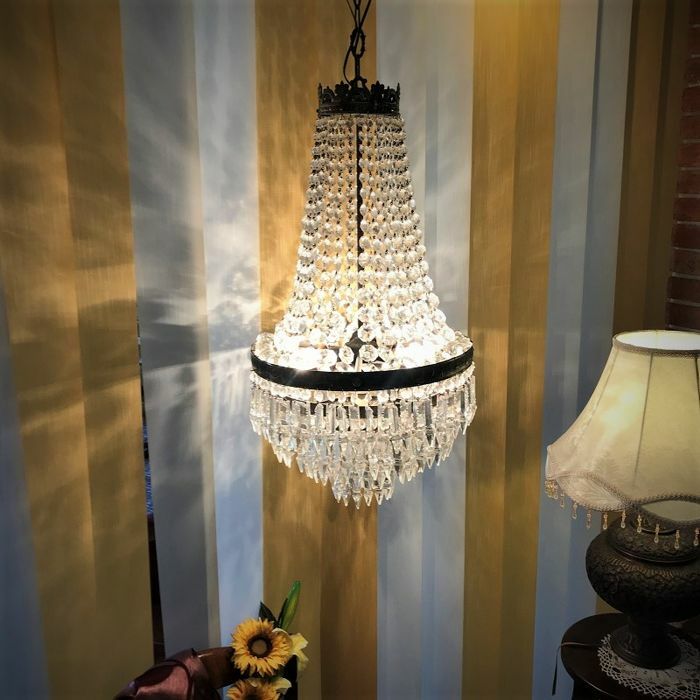 With 3 horizontal lights and 1 vertical light. 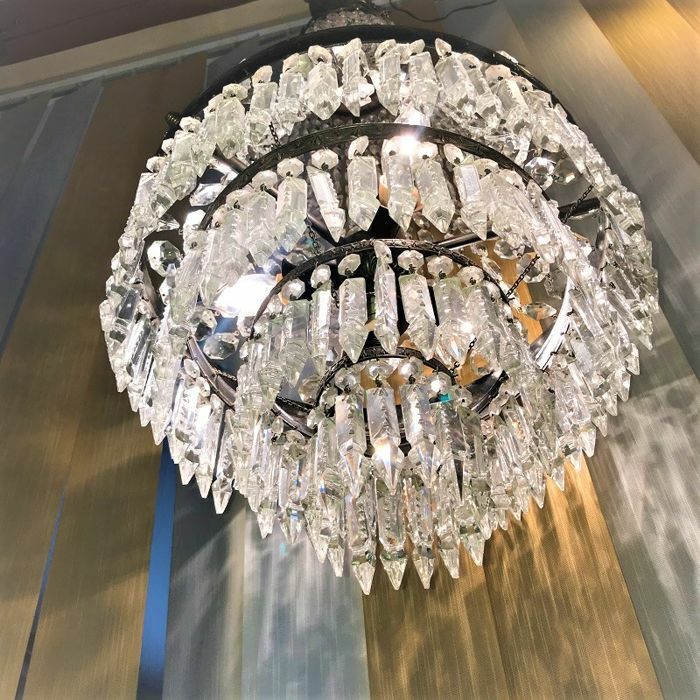 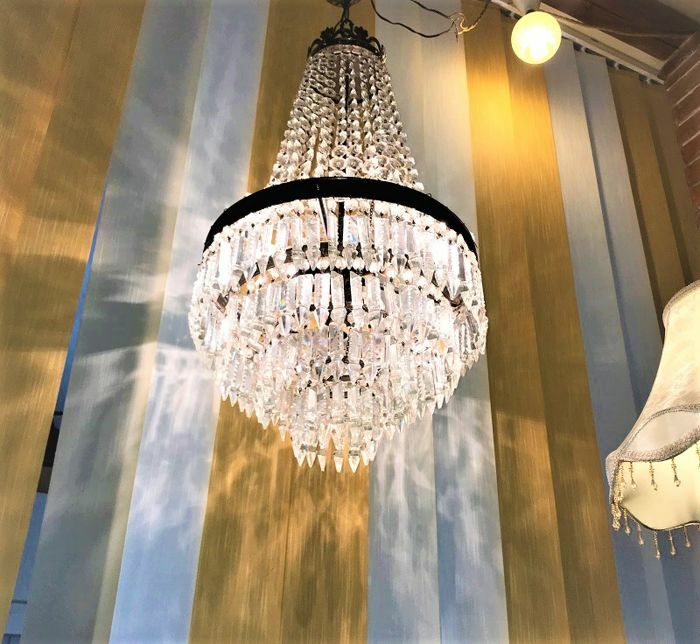 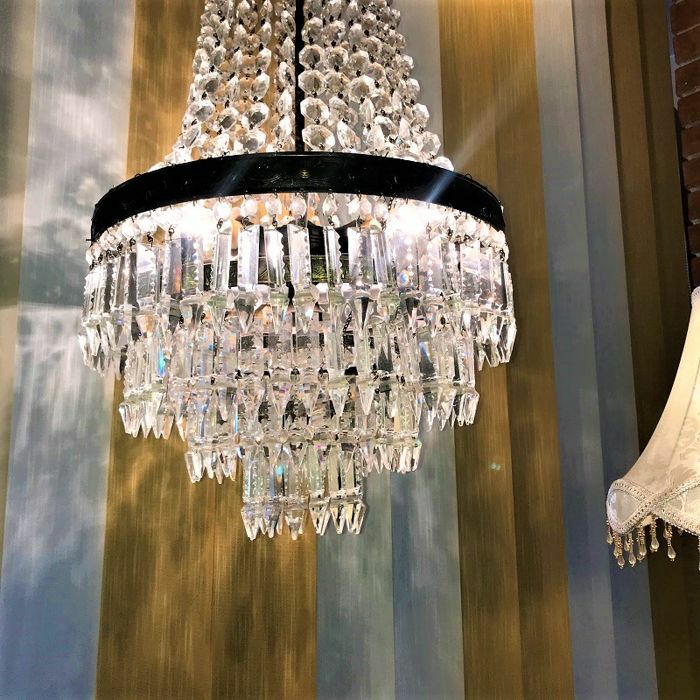 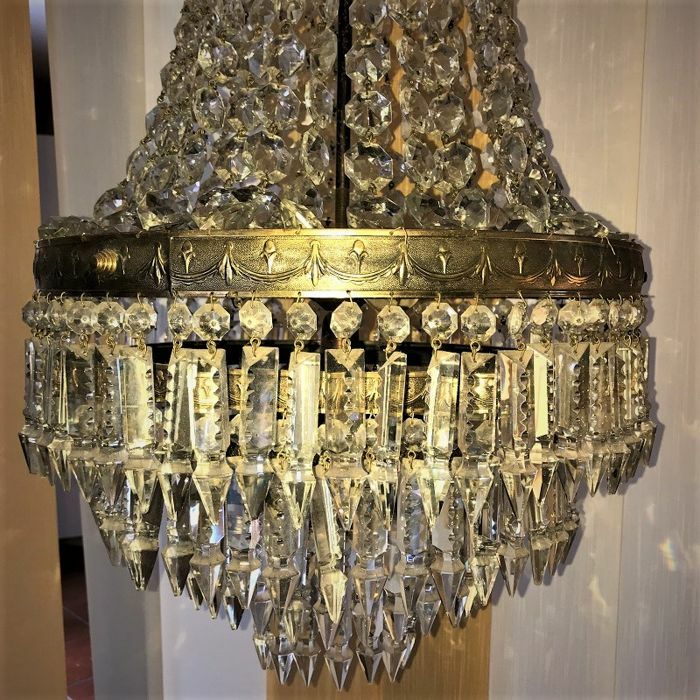 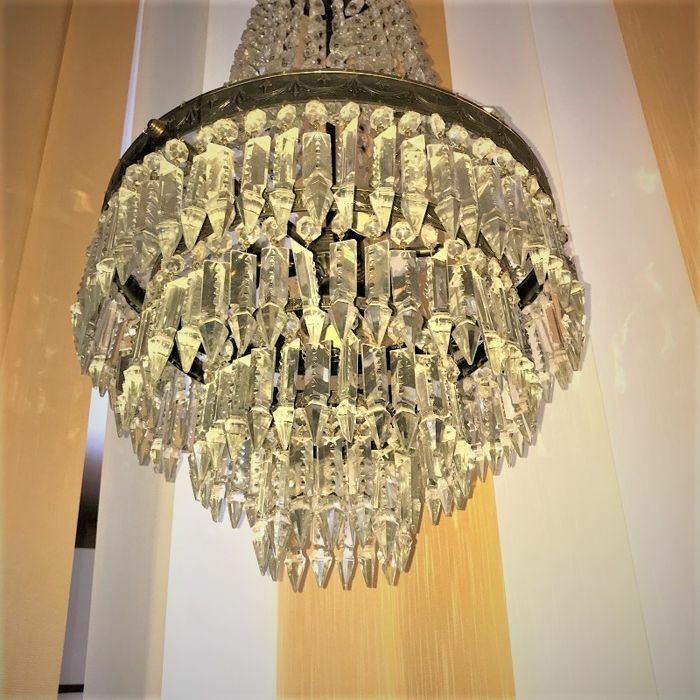 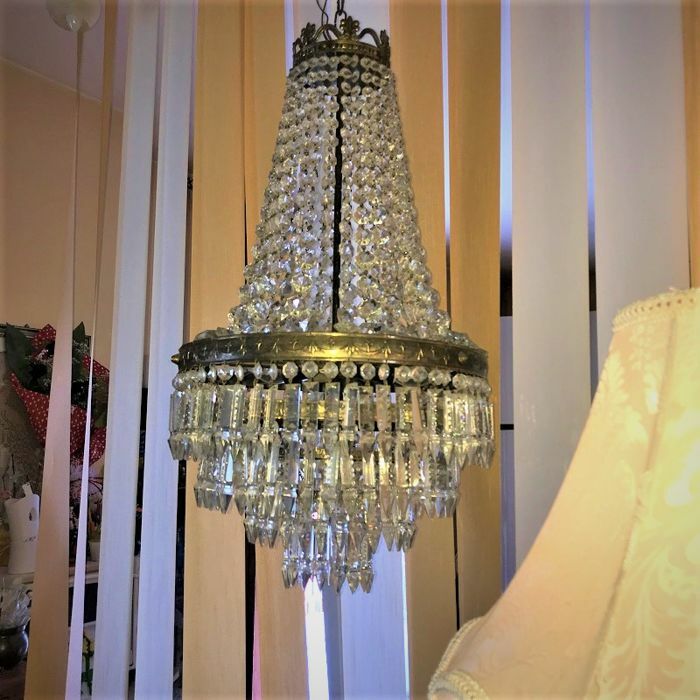 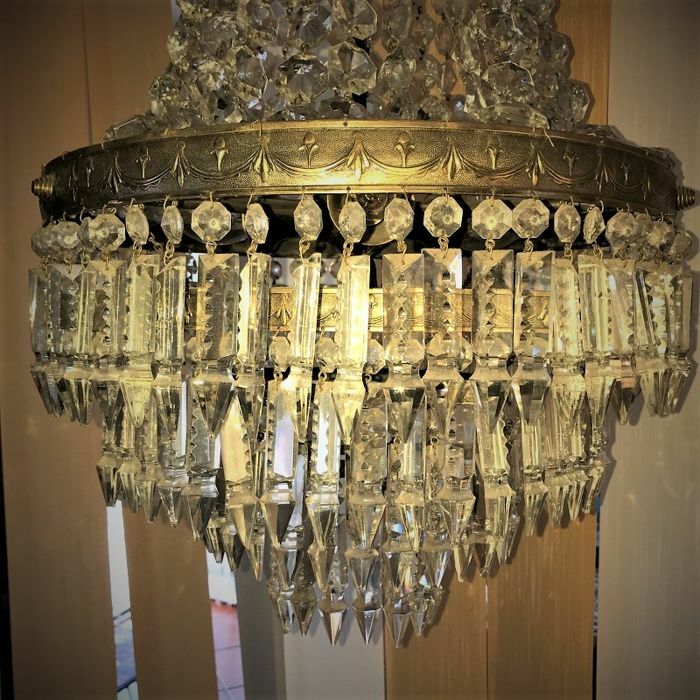 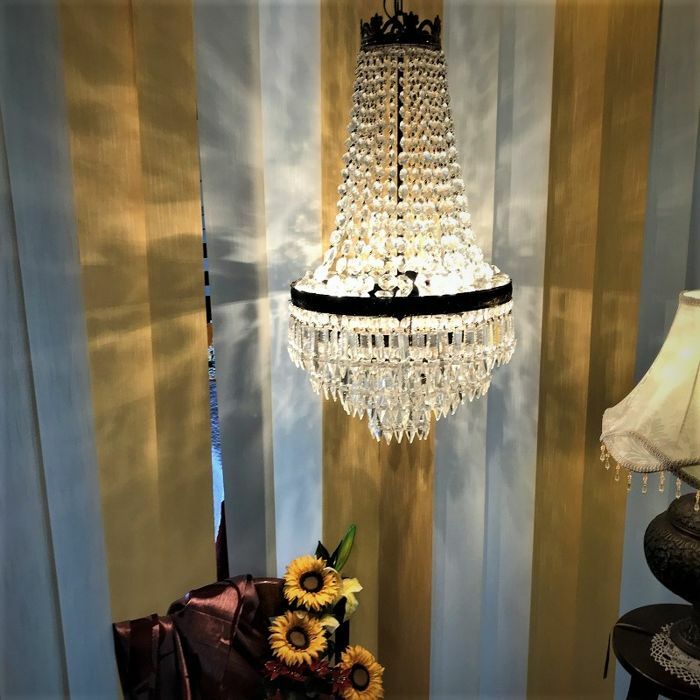 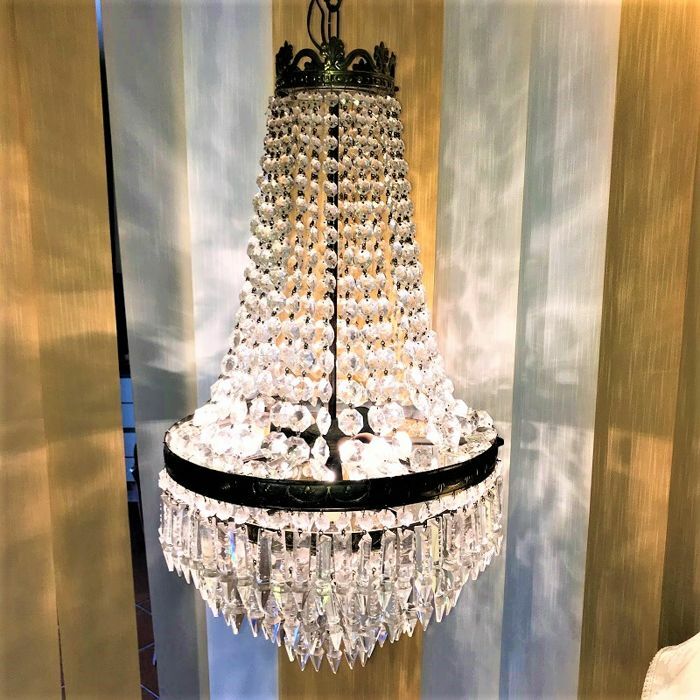 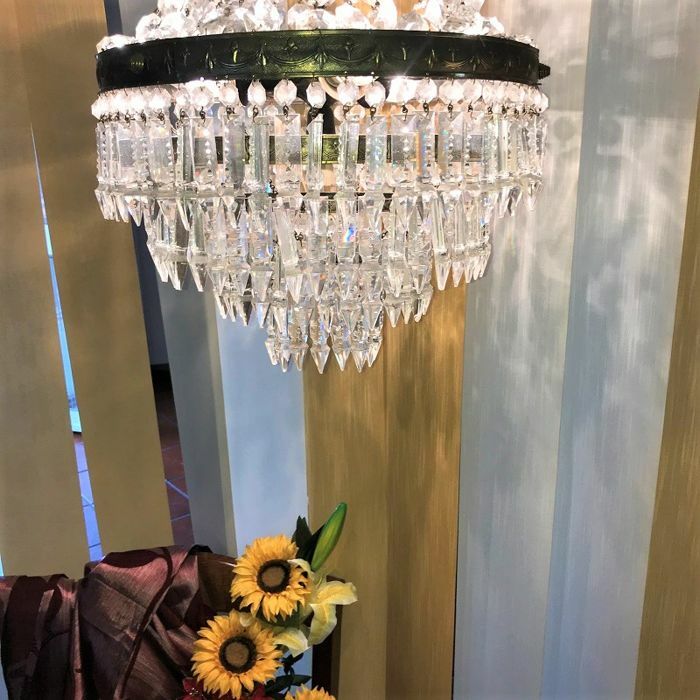 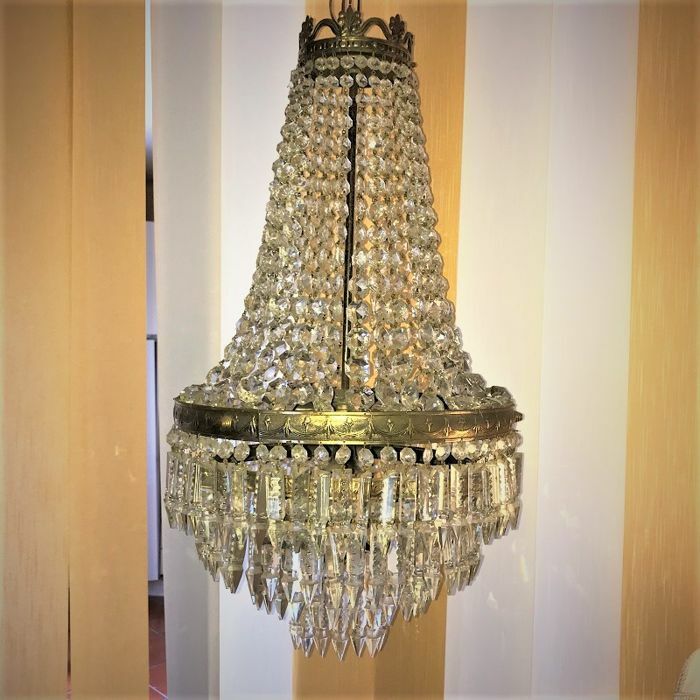 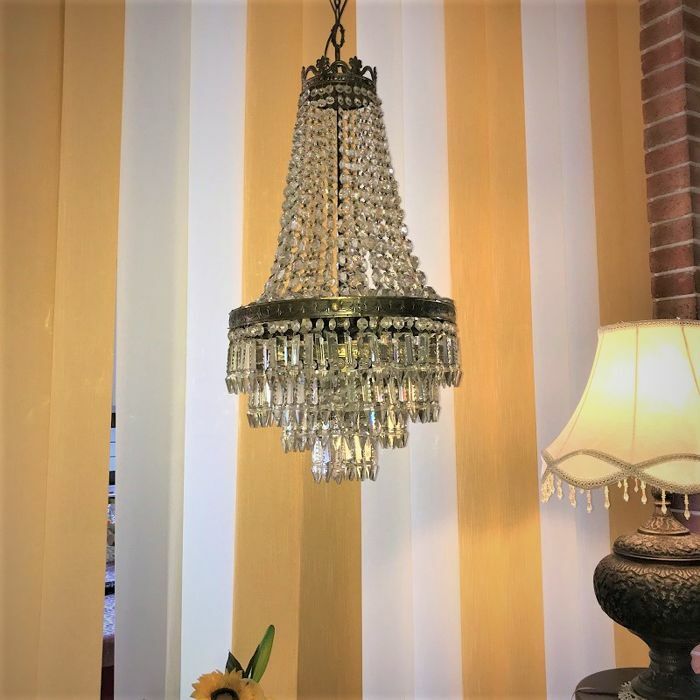 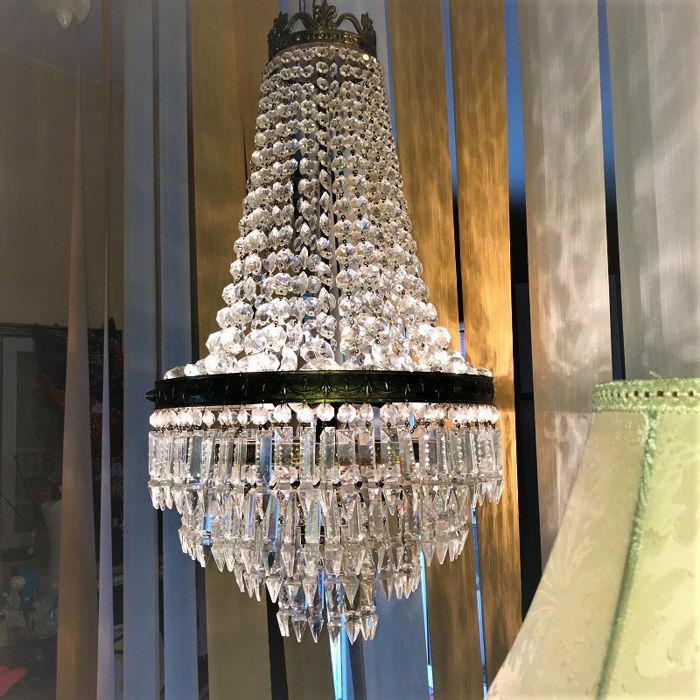 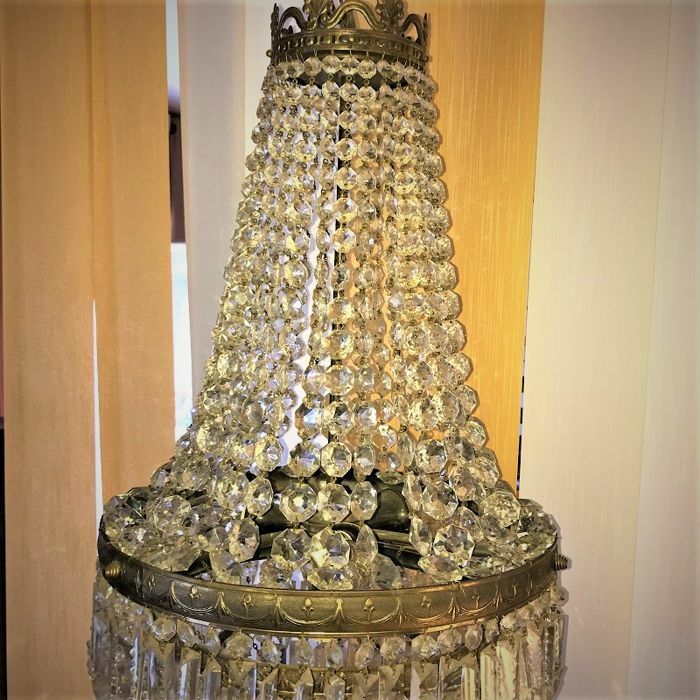 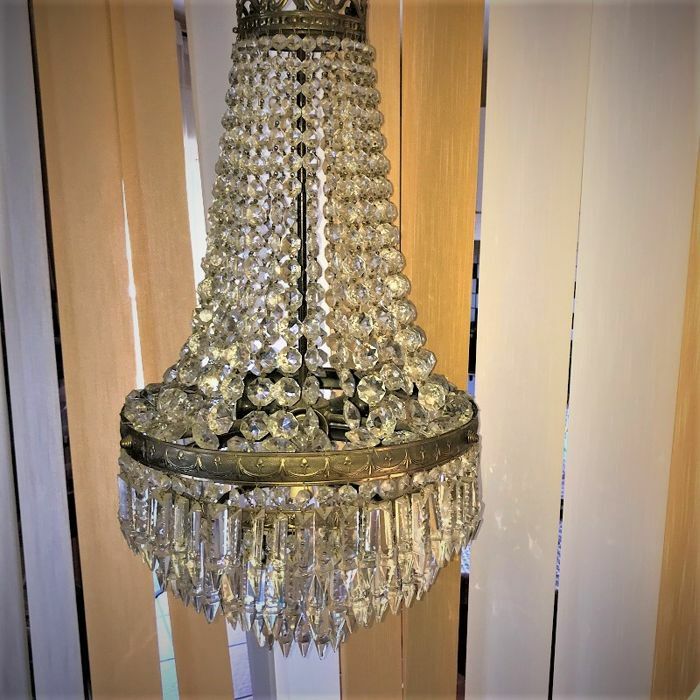 Vintage chandelier in burnished brass. 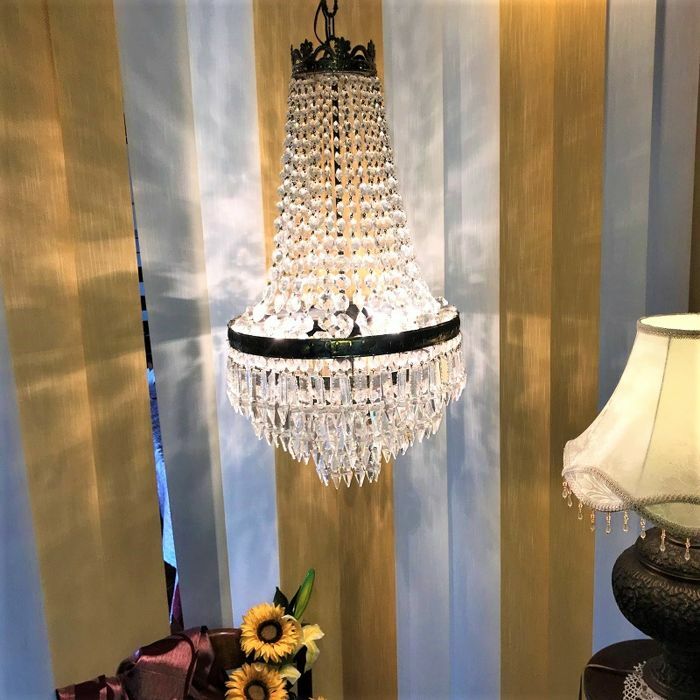 Dimensions: diameter 50 cm, height 70 cm + chain and canopy 25 cm.